A very new and fresh trekking trail has been explored in western part of Annapurna in Baglung District. Tamankhola Rural Municipality of Baglung district to make it a new tourism destination which is promoted by Nepal Tourism Board (NTB) and supported by Tamankhola Rural municipality. 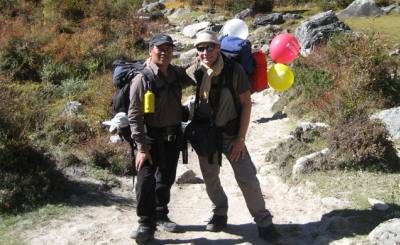 The new rural village trekking route is explored by Trekking Agencies' Association of Nepal (TAAN). This newly promoted route from Brudhibang, BarahaLake, Gurjaghat, Narja, Nau Dalle Hill and Shole, till the terrain of Durkhel Hill. Tamankhola, one of the rural municipalities among four municipality and six rural municipality of Baglung district, Province No. 4. It is the only one rural municipality that is connected with Dhorpatan Hunting Reserve Area. Traveling from Kathmandu to Bhayarbunga, crossing a distance of 370 km. from the journey, travelers can view the beautiful Baraha Lake situated at the altitude of 2633m. 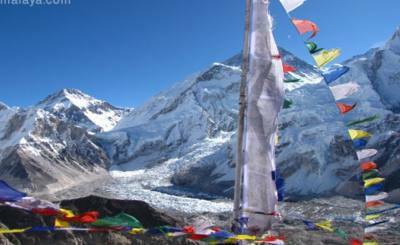 The trekking route consists maximum altitude of 3450 m.
Tourists can take pleasure in observing the views of Mt. Dhaulagiri, Mt. Machapuchare, Mt. Annapurna along with Mt. Nilgiri on the Northern side of Baraha Lake. Apart from this, panoramic views of Mt. Sisney, Mt. Chure, Mt. Annapurna, Mt. 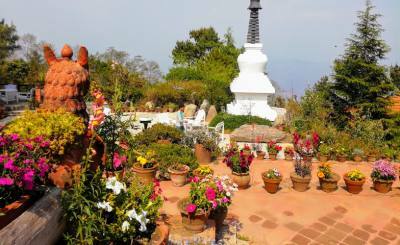 Dhaulagiri and other Himalayas can be observed from Nau Dalle Hill. Similarly, from Sholey Hill and from the Dhurlekh Hill, Mt. Manapati, Mt. Ghodakanne can be observed. Also, during the trek tourists can see other fruits and herbs including three types of Rhododendron, Bay Berry, Dembar, Barberry, Ghanyalo, Jondro, Mhayal, Lisso, Gofila, Kimu, Timur. Also, animals and birds like Ghoral, Deer, Leopard, Wild pigs, White Monkey, Lophophorus, Munal, Kalij Pheasant can be observed on the trekking route. Archery is an important and popular game in this rural municipality. The village having diverse arts and culturesconsists ethnic people like Chhantyal, Magar, Dalit, Brahman, Chhetri and Darji.Thelocal cultural performance and song will mainly attract the tourist fromSorathiDance, Lok Dohori, YanimayaBhaka and Baja Tal.The beautiful village named as Kateri, Narja and Taman offers local cuisines, culture, dance and ethnicity. Suk Bahadur Lama, the Coordinator of Destination Research and Promotion Department added that they have successfully completed the study of new tourism destination at Tamankhola Rural Municipality. 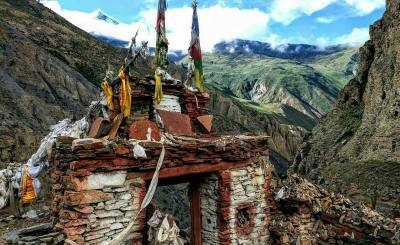 Although the geographical situation of Baglung is distant, Lama has said that the tourism business can go ahead. According to President of Tamankhola Rural Municiaplity, Joglal Budha Magar stated that the nearby views of various Himalayas observed from Baraha Lake and Nau Dalle Hill can attract international and domestic visitors. Cartographer of Himalayan Map House Krishna Maharjan said that even though the route was suitable, the appropriate infrastructures must be developed on the trekking rote to keep the tourists safe and easy to attract them. Therefore, the study resulted the potentiality to develop rural tourism to be dispersed in the Tamankhola Rural Municipality.